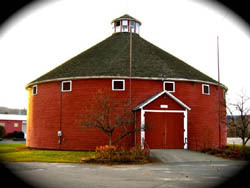 The club exhibits each year in the Franklin County Fair Roundhouse. Past themes have been Fairy Gardens, a Christmas Scene with decorated tree, a seaside scene, A partial labyrinth, and a Slice of Monet's Garden, with a water feature, water lilies, and lots of other plant material, as well as 2 paintings. (We won a blue ribbon as well as the coveted Cushman Award for this scene and had a great time in the process!) Photos are always posted on our Facebook page. This year's Fair dates have not been posted yet, but are always Thursday through Sunday.